Organic bedding is made from 100 percent natural materials that have been grown and processed without the use of chemicals. Organic bedding helps protect you and your loved ones from chemicals found in synthetic bedding that can cause headaches, nausea, allergy flare ups, chemical sensitivities and skin irritations. A variety of organic bedding materials are available for pillow cases, sheets, blankets, mattresses, and more. All will help you and your loved ones sleep better and feel better by reducing your exposure to chemicals and allergens. 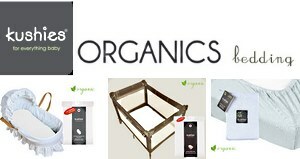 Buying an organic bed is a long-term investment in your health. Non-organically made mattresses are constructed of petroleum chemical based foams. These chemicals give off gas. We typically spend 1/3 of our lives sleeping and when we sleep, we inhale the toxic gases from these chemicals. The damage to our bodies can be huge. Buying organic bedding made from organic cotton, wool and natural rubber is a healthier choice for you and your family. Certifications such as Oeko-Tex, GreenGuard, and GOTS (Global Organic Textile Standard) assure that some of the materials in the products have been reviewed and approved by organizations committed to ensuring public health and safety. Materials to look for include organic wool (untreated), 100% natural latex made from rubber trees, 100% organic cotton, and eco-friendly dyes. 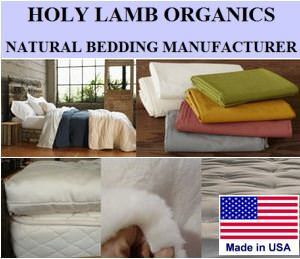 Holy Lamb Organics – Premium wool and organic cotton bedding products made in USA. Mattresses, pillows, comforters, sheets, blankets, baby bedding, sleeping bags, bath towels, organic robes. 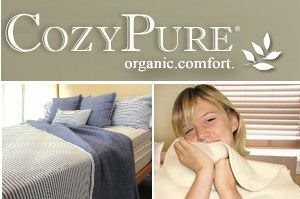 CozyPure – Organic mattresses, organic mattress toppers, organic latex mattresses, blankets, comforters, pillows. Baby bedding, Day beds, Pet beds, Made in USA. 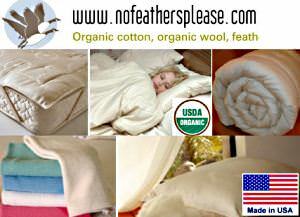 No Feathers Please – Organic bedding made in USA. Organic wool, cotton and feather free. Many made in USA items. Sheets, dust barriers, mattress pads, blankets, comforters, pillows. 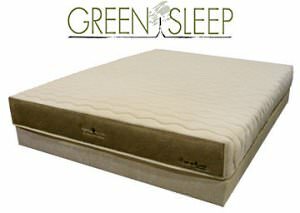 Greensleep – Mattresses made from natural rubber, hand picked organic cotton, Texel natural wool from Holland. Foundations made from solid untreated poplar, natural rubber slats. 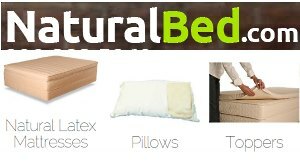 Natural Bed Store – Certified organic cotton and pure organic wool materials. Natural latex mattresses, natural and organic innerspring mattresses, baby mattresses, pillows, toppers, adjustable beds. 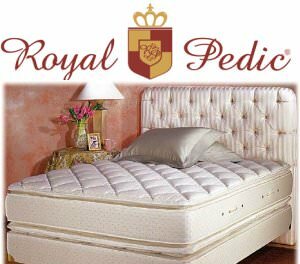 Royal Pedic – Premium natural cotton from Belgium, wool from the south of France, natural latex from England and long fiber cotton grown in USA. Handcrafted quality. Shepherd’s Dream -Unique wool mattresses, wool mattress toppers, blankets, comforters, pillows, bed frames, pet bedding, baby bedding, organic sheets, mattress protectors, wool scarves. Suite Sleep Organics – Chemical free, organic and natural bedding. Certified hand picked cotton, natural rubber, organic wool and untreated woods. Mattresses, pillows, comforters, linens, toppers. 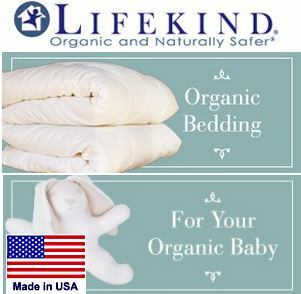 LifeKind – Organic bedding made in America of U.S. grown organic cotton, California grown wool and natural rubber latex. 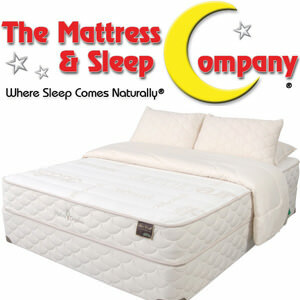 Mattresses, pillow tops, foundations, blankets, comforters, pet beds. 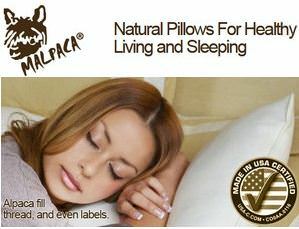 Malpaca – Natural Pillows made from 100% U.S. natural alpaca wool. Sizes: standard, queen, king and euro. Light, medium and full fills. Bamboo and cotton blend cover or 100% organic cotton cover. 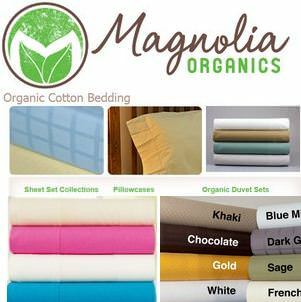 Magnolia Organics – Organic cotton bedding. Organic cotton sheet sets, pillow cases, duvet sets, crib sheets, bath towels. Colorful, organic dyeing processes. 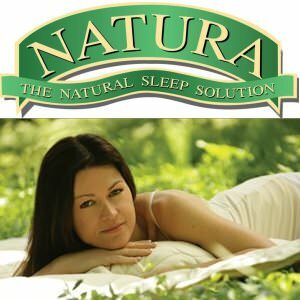 Natura – Organic mattresses, latex mattresses, wool pillows, organic pillows, latex pillows, wool comforters, toppers, organic crib mattresses, organic crib sheets and blankets. Kids mattresses. 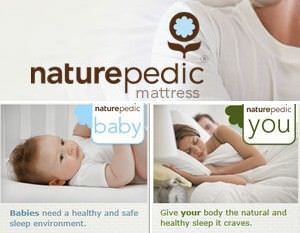 Naturepedic – Organic Mattresses. 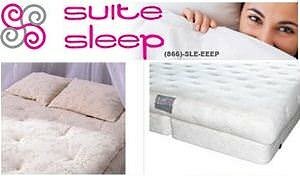 Mattress pads, toppers, pillows, baby crib mattresses, bassinet mattresses, sheets. The Mattress and Sleep Company – Organic mattresses, pillows, organic wool duvets, mattress pads, organic toppers, baby bedding, organic bath towels and more. 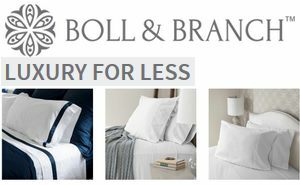 Boll & Branch – Ethically made organic bedding. 100% certified organic cotton, eco friendly non-toxic dyes. Sheets, pillowcases, fitted sheets, bed skirts, box spring covers, duvets and shams. Throw blankets. Earthsake is family-owned shop using organic ingredients for their eco-friendly mattresses & bedding. Made in America using certifed organic cotton, 100% natural rubber latex. 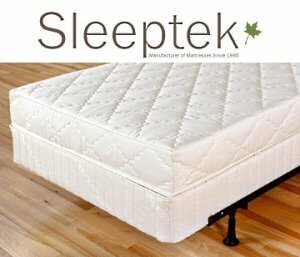 Sleeptek – Organic mattresses, comforters, pillows, toppers. Organically grown cotton, wool washed without detergents, natural rubber. Untreated natural wood boxsprings. glo – Green Living Organics – Bed linens, blankets, crib and children’s bedding, duvet covers and shams, sheets and pillowcases, throws, mattress pads, bath products, baby clothes. 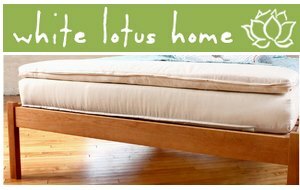 White Lotus Home – USA made natural and organic mattresses, futons, children’s bedding, pillows. Organic pet beds. Crib and toddler mattresses. 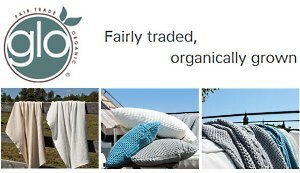 Organic mattress pads, wool duvets, guest beds, organic and natural sheets. 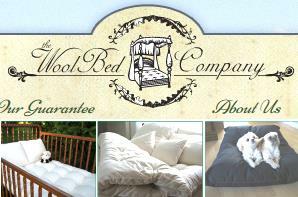 Wool Bed Company – Eco Pure – wool bedding products. Mattresses, toppers, natural wood bed platforms, futons, organic cotton-wool bedding system, organic comforters, pillows, neck rolls, linens, duvets, sheets, baby bedding, pet bedding, wool dryer balls. Kushies – Organic baby bedding. Fitted bassinet sheet, organic change pad, fitted sheet, playpen sheets. 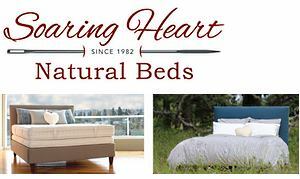 Soaring Heart Natural Beds – Handcrafted organic mattresses, futons, and shikibutons. Mattress toppers, pads, organic pillows, comforters and blankets. Linens, body pillows. Organic buckwheat hull pillow.